Top international medical congress now being held at Messe Wien Exhibition & Congress Center for the 3rd time. VIENNA (5th April 2019). From the 10th – 14th April around 9000 participants from 116 countries are expected to attend the 54th International Liver Congress staged at the Messe Wien Exhibition & Congress Center by the European Society for the Study of the Liver (EASL). The International Liver Congress is the world’s most important knowledge hub for liver research and therapy development. Ongoing training, scientific discourse and a chance for participants to expand their contact networks, are the key pillars of the congress. The full scientific programme consists of 290 meetings, 1740 presentations and 1469 scientific posters, alongside four days of expert discussion. Key points of emphasis at this year’s congress include new therapeutic approaches to the treatment of liver diseases and the challenges posed by alcohol-triggered hepatic steatosis for state health systems. Special gatherings were arranged to discuss the prevention of viral hepatitis, liver tumours and hepatitis B healing processes. Burning issues include the use of cell therapy in cases of advanced liver disease, and innovative strategies on how to expand the donor pool for liver transplants. The scientific programme is rounded off with a total of five postgraduate courses on terminal stage liver disease. 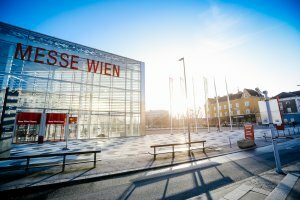 “Messe Wien Exhibition & Congress Center is an Austrian venue with ideal facilities and it is now providing the infrastructural framework for the International Liver Congress for the third time. We are delighted to be a partner for EASL once again this year, and to be contributing to the success of the International Liver Congress in 2019”, explained Martina Candillo, Director Congresses & Events at Reed Exhibitions, the exclusive operator of the Messe Wien venue.